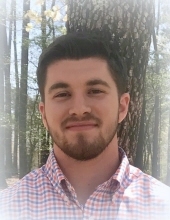 William Aaron Whitaker, age 20 of Carrollton, passed away Thursday, January 17, 2019. He was born February 09, 1998 in Carrollton, Georgia, son of William “Randy” Whitaker and Kim Dunning Whitaker of Carrollton. He graduated from Villa Rica High School and was currently attending the University of Georgia, where he studied Exercise Science and Athletic Training. He was Baptist by faith and attended Shady Grove Baptist Church. He is preceded in death by his maternal grandfather, S.T. Dunning. He leaves behind to cherish his memory, his parents, Randy and Kim Whitaker of Carrollton; his sister, Lauren Whitaker Kuykendall (Dakota) of Bremen; grandparents, Ronald and Beverly Whitaker of Colquitt, GA, and Peggy Dunning of Jakin, GA; his beloved dog, Dobby; and a number of extended family and friends. To send flowers or a remembrance gift to the family of William Aaron Whitaker, please visit our Tribute Store. "Email Address" would like to share the life celebration of William Aaron Whitaker. Click on the "link" to go to share a favorite memory or leave a condolence message for the family.